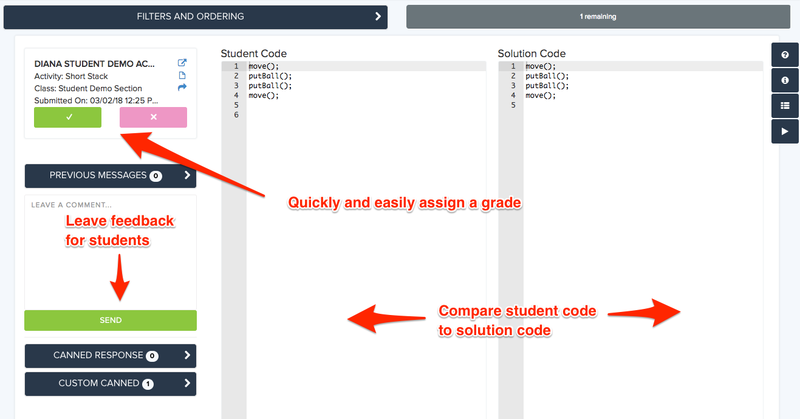 Fast grade is a tool designed to make grading student submissions on CodeHS quick and easy. Get access to all the information that you need to know about the submission you are grading. You can assign a grade with a single click. Manage the messages sent to the student for the assignment. You can both review previous messages and send new messages. Filter for only the submissions that you need to grade. You can filter submissions by categories like class, student, course, module, and item. Compare the student’s code to the solution code of the assignment. Filtering is as easy as typing in the exercise name, course, section, or username you're interested in reviewing. 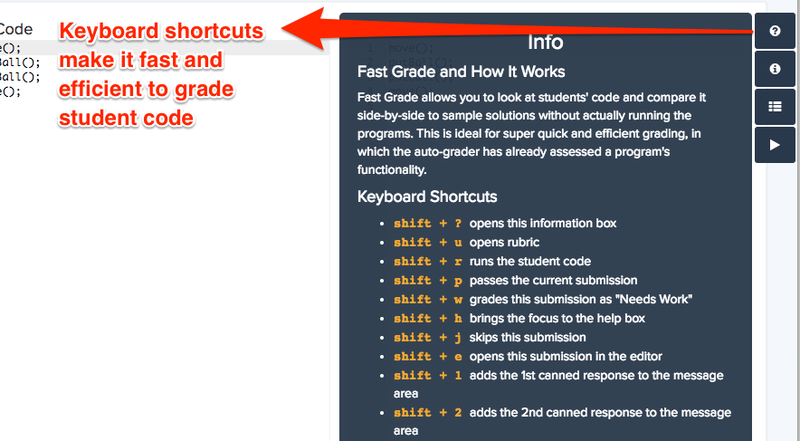 You can also use keyboard shortcuts to make the grading process even faster. Keyboard shortcuts can be found on the "?" icon on the right-hand side of the platform.